Thread for posting player made sound/music stuff related to ST. I figured I'd make this thread to post this kind of stuff in. I was messing around with my oscilloscope and realized that I could probably try to just make the sound of what Manhattan is describing is happening in the Looking Glass finale, with the frequencies trying to sync up and stuff. 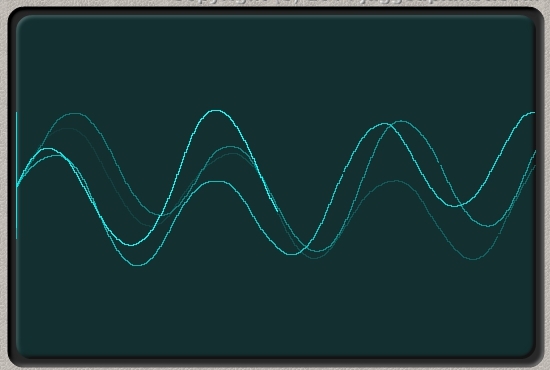 I also took a picture of what the oscilloscope's waves in the scene might look like, based on what the sound I made is.